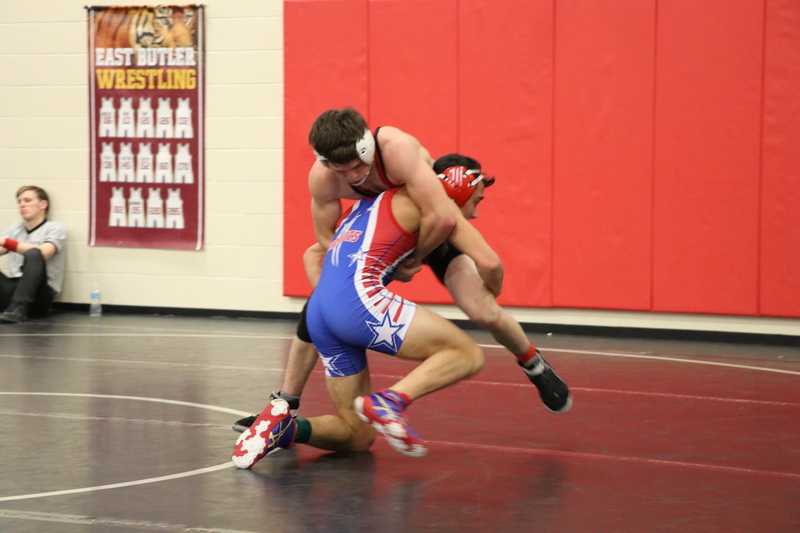 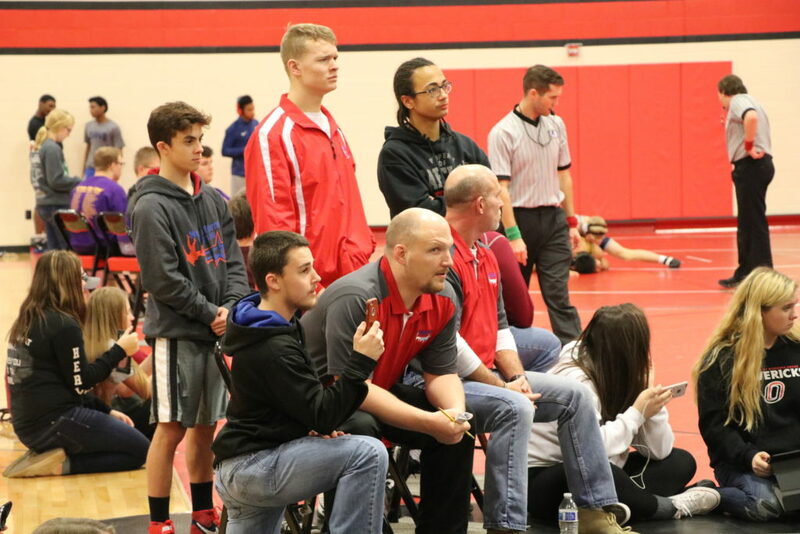 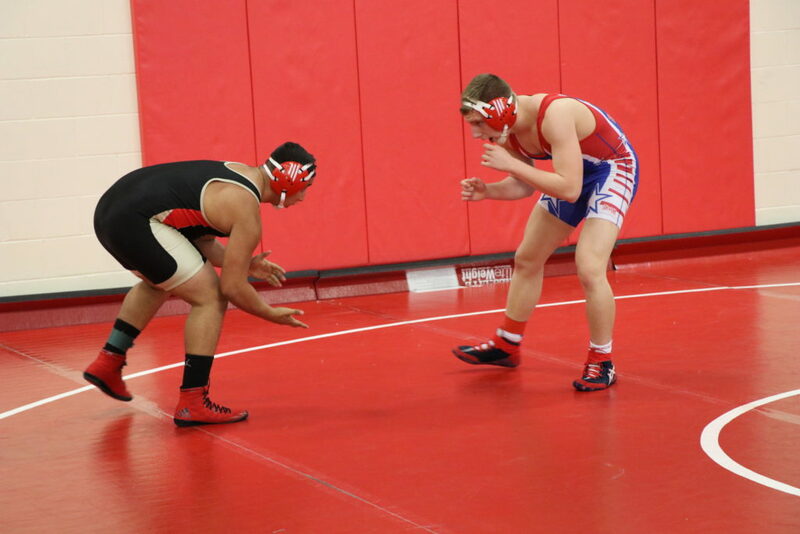 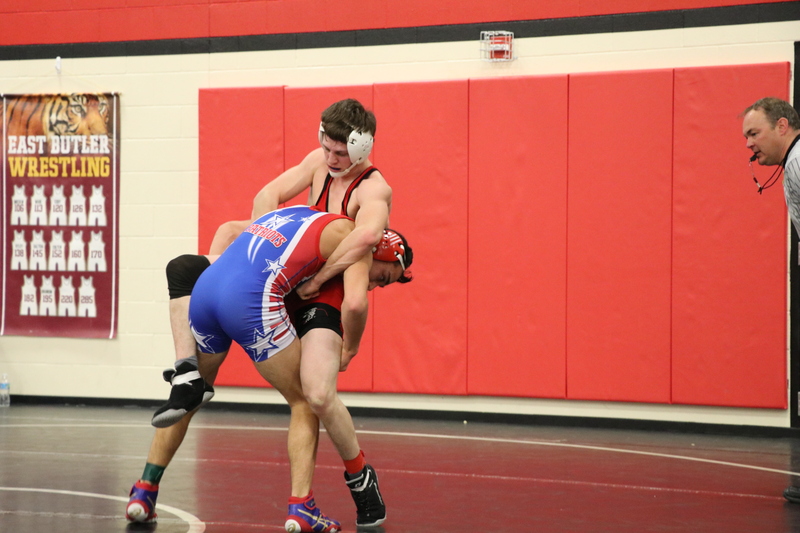 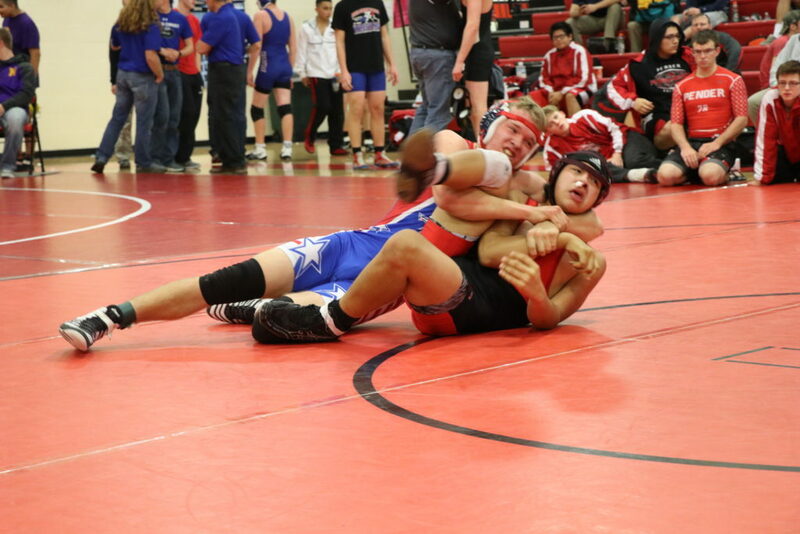 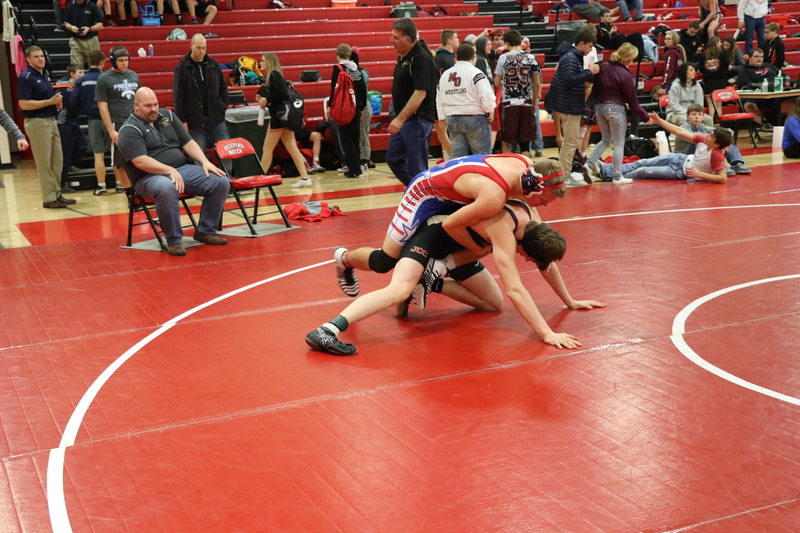 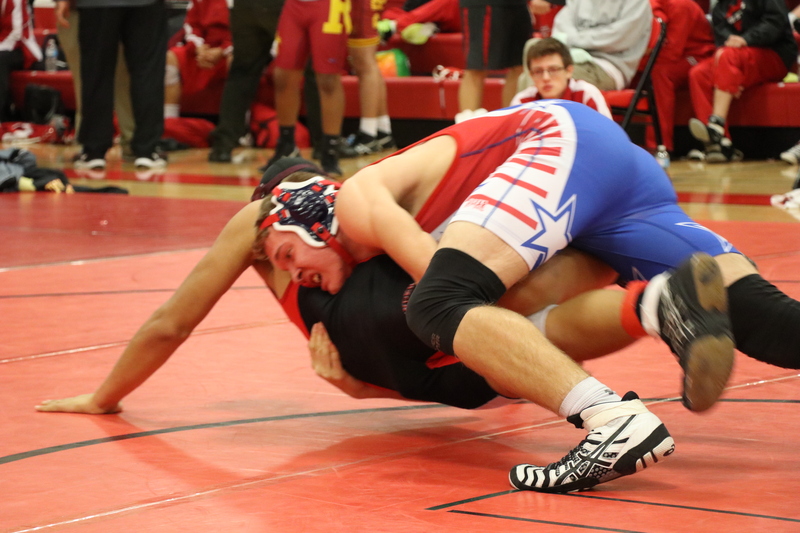 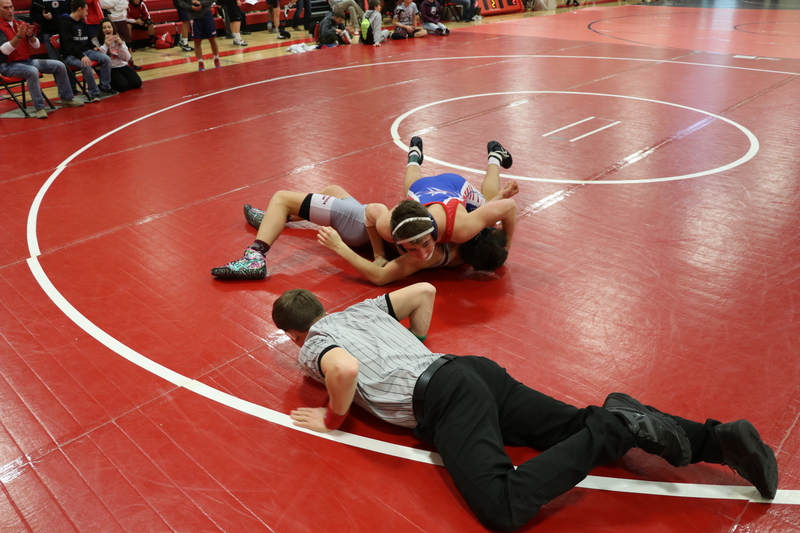 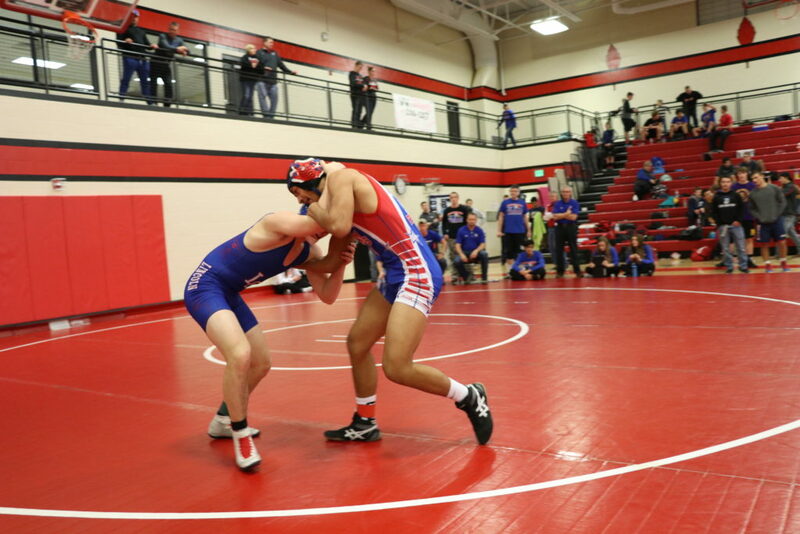 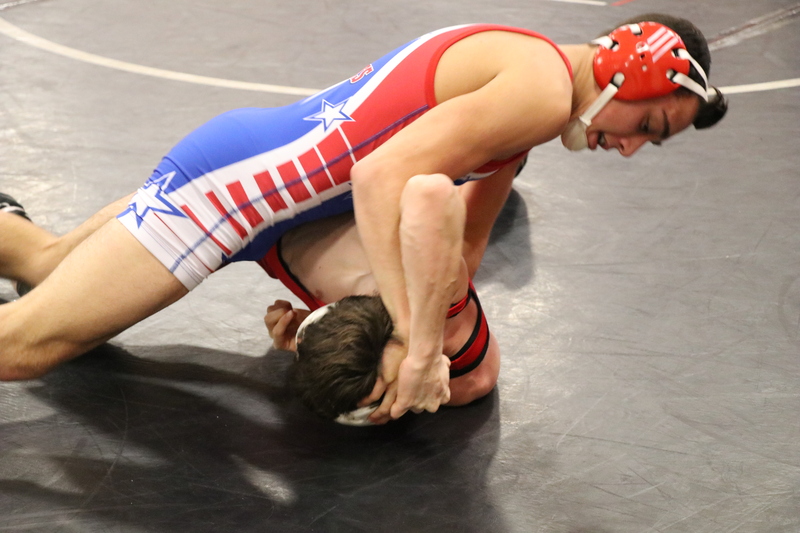 The Millard South JV wrestling team traveled to Weeping Water to compete in their varsity invitational. The tournament consisted of 12 smaller school varsity teams and 4 JV teams from larger schools. 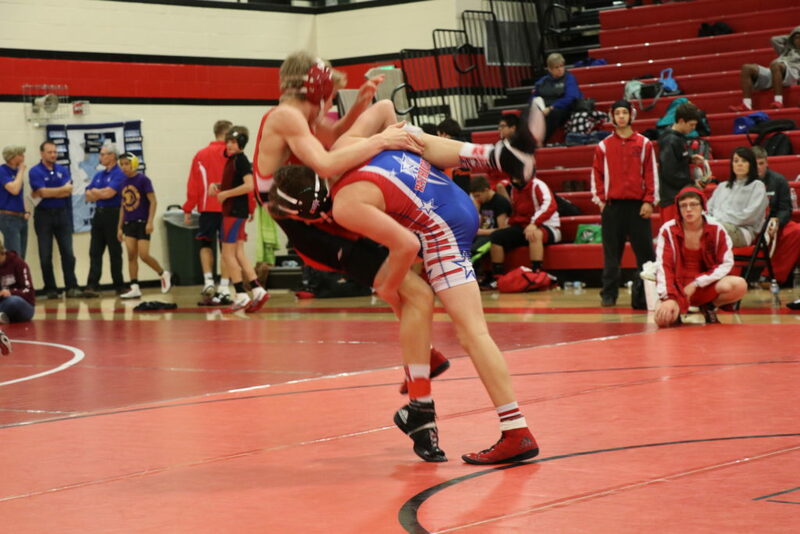 This type of tournament is always a great test for a JV team. 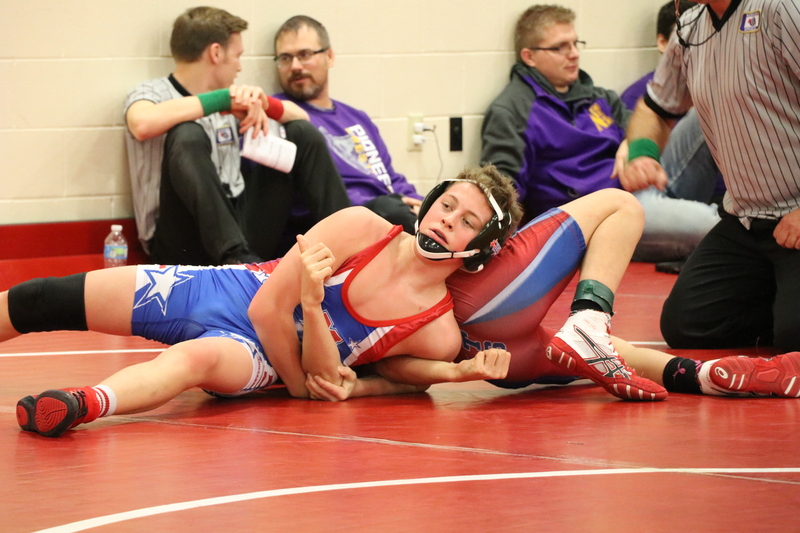 The Patriots ended up in a dogfight throughout the tournament with Pender who is currently ranked 10th in Class D by Huskermat. 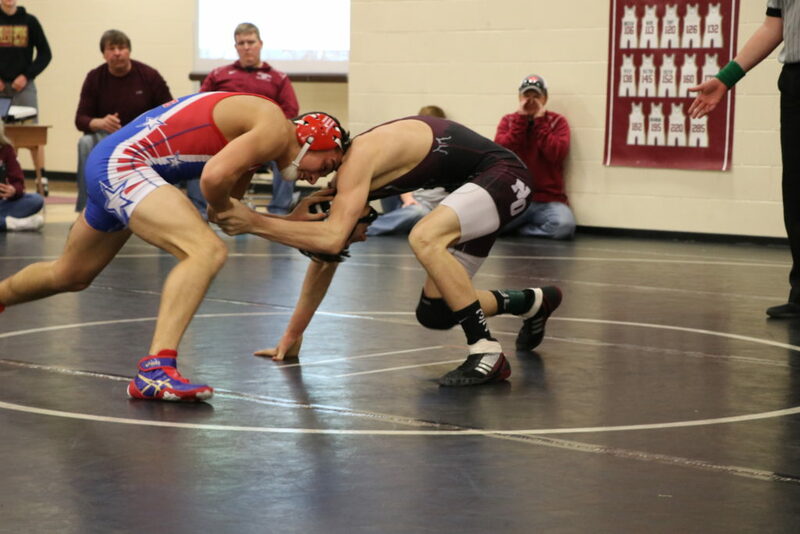 All 12 point scorers for the Patriots placed utilizing a total team effort to bring home the 1st place hardware. 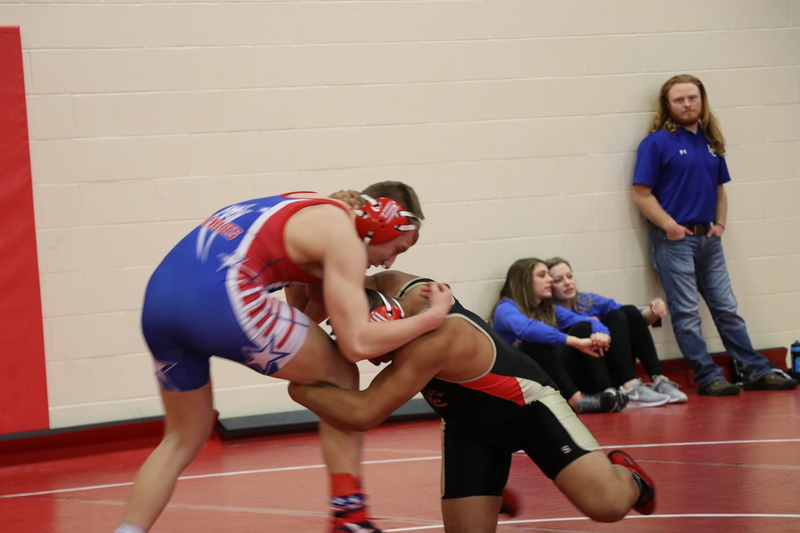 The Patriots were lead by a few seniors that both beat ranked wrestlers on their way to winning gold medals. Jace Caniglia beat Class D’s #3 ranked wrestler in his weight class (according to Huskermat) while coming from behind in the 3rd period securing a takedown and riding him out for the victory. 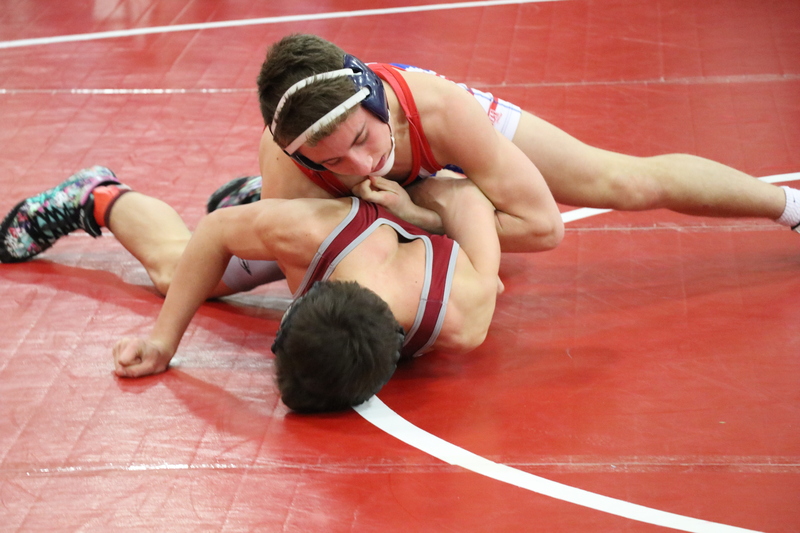 Caniglia has beaten a few eventual state placers this year while compiling an undefeated record. 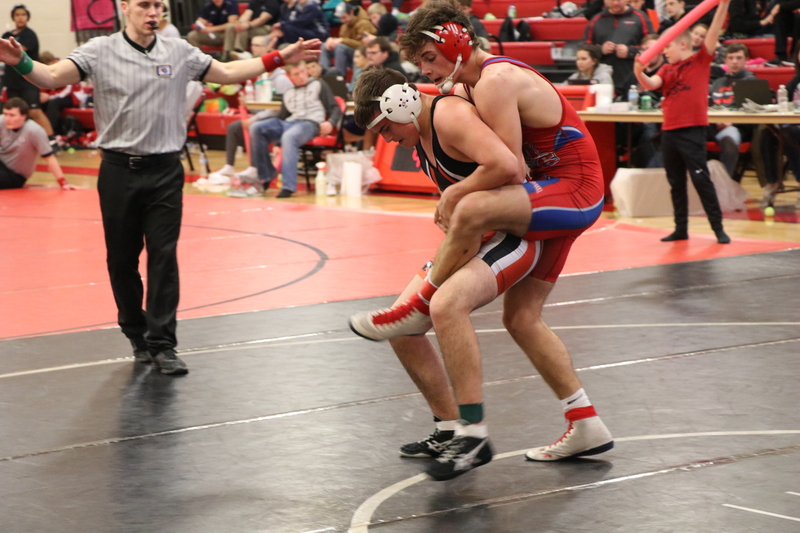 Ricky Hayden had an even tougher path to winning his title as he had to face Huskermat’s #5 ranked Class C wrestler at 145 pounds in the semi-finals. 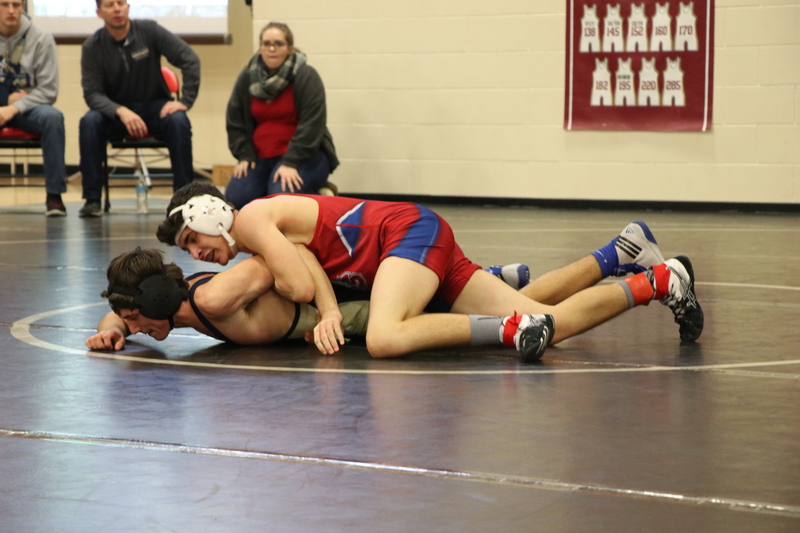 Ricky had to fight hard to earn his escape in the 2nd period and then sealed the deal by riding his opponent out to earn his ticket to the finals. 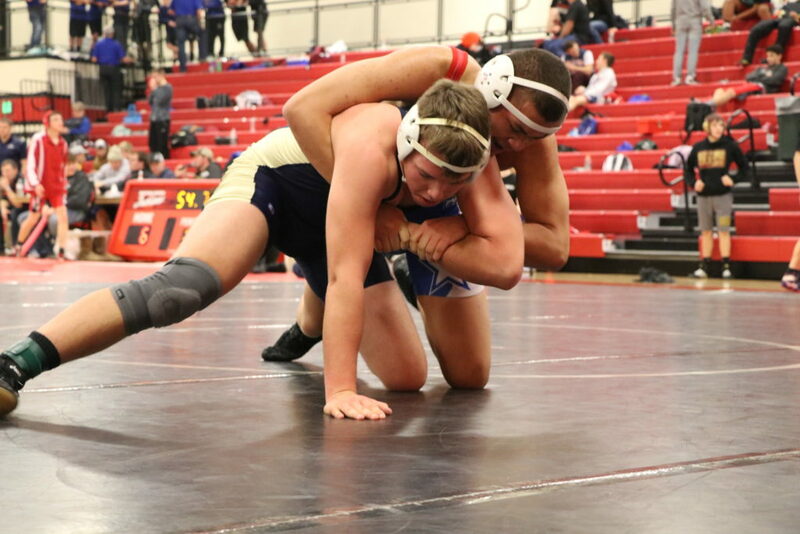 In the finals, Ricky had to face Dalton Bohac who was Huskermat’s #5 ranked wrestler in class D. Hayden dominated the match the entire time jumping out to a 7-0 lead where he cut Bohac in an effort to score more team points by collecting the major, but ended up giving up 2 points. Hayden is a force to be reckoned with as he’s put in the work this offseason. 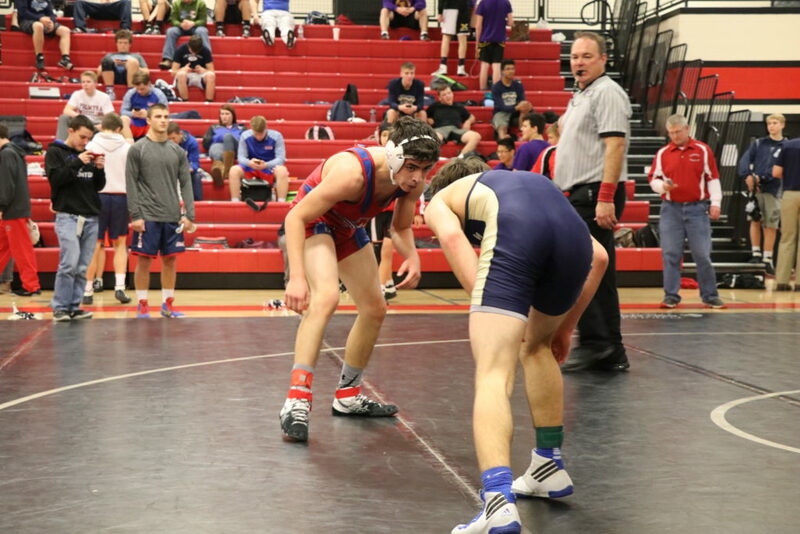 He may get his chance to prove that he belongs on varsity in the upcoming weeks and will put some pressure on Austin McDonald for the varsity spot and head into districts. Both Caniglia and Hayden would be varsity for any other team in the state at some weight class. 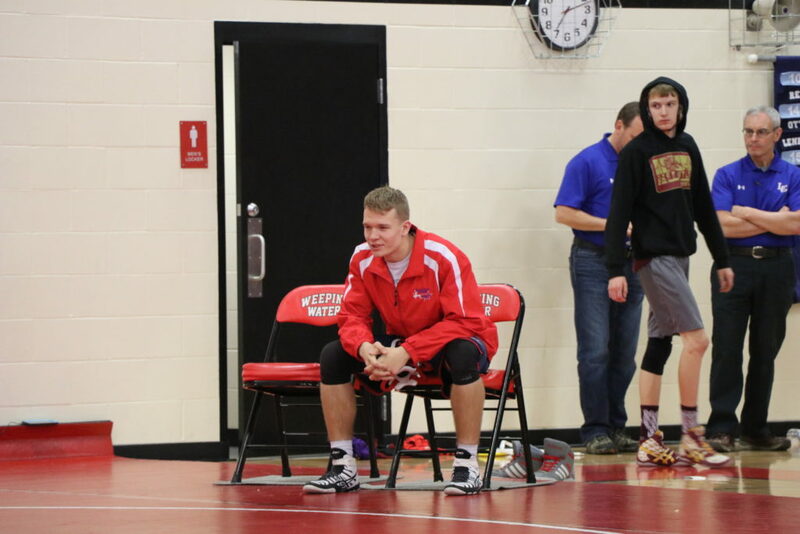 This a testament to the depth at Millard South. 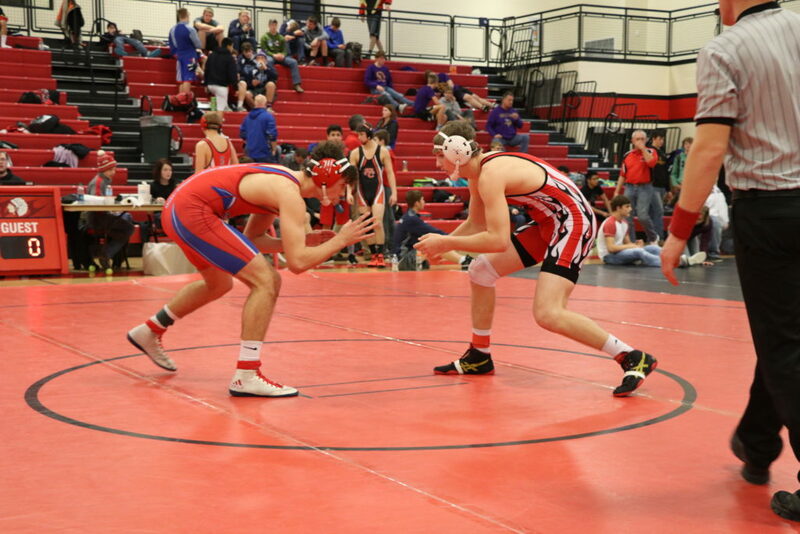 Another wrestler that would be varsity for almost any other team in the state is Garett Svoboda who placed 3rd . 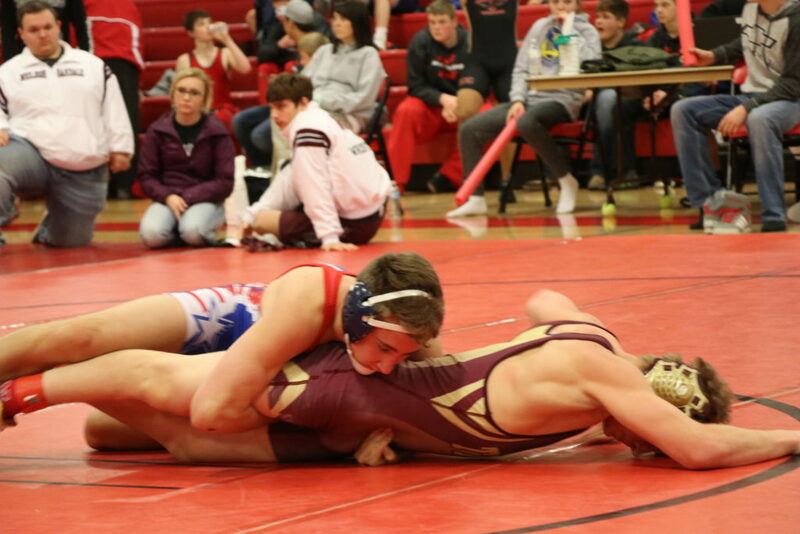 Garett got into a barn burner in the semi-finals against Ryley Spatz from East Butler who is ranked 4th in a very difficult class D 138 pound bracket. 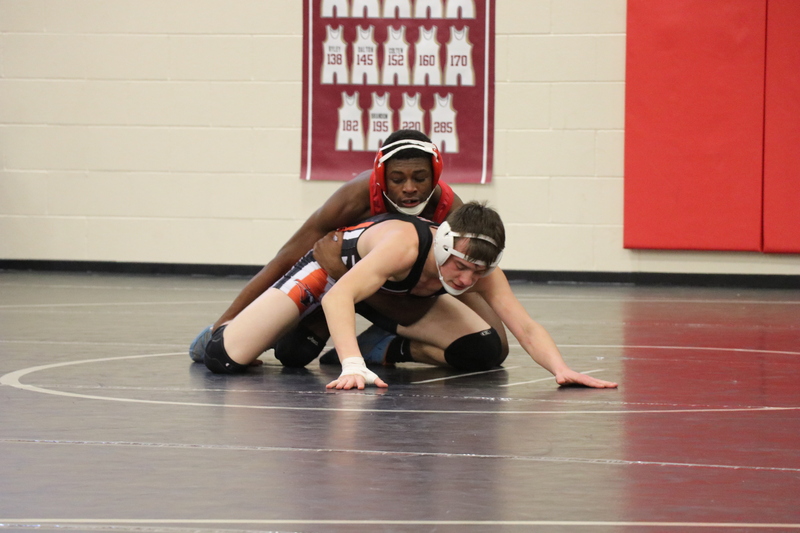 Garett jumped out to an early 2-0 lead in the 1st period, but being ridden out in the 2nd period while uncharacteristically giving up multiple cautions that eventually lead to a point for his opponent.. Garett learned a few lessons during this match, which was much closer than the 7-2 final, that he will take with him in the long run to help him improve. 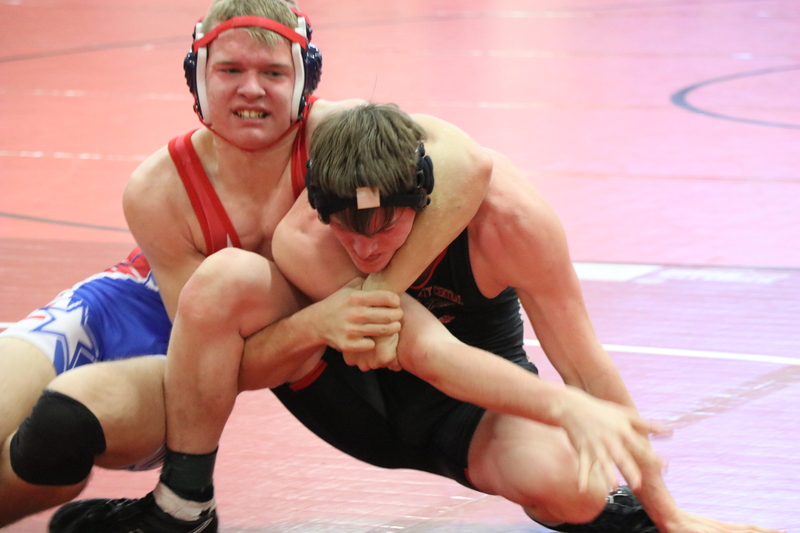 Gavin Peitzmeier also brought home the gold at the 182 pound weight class with 2 pins and a major decision. 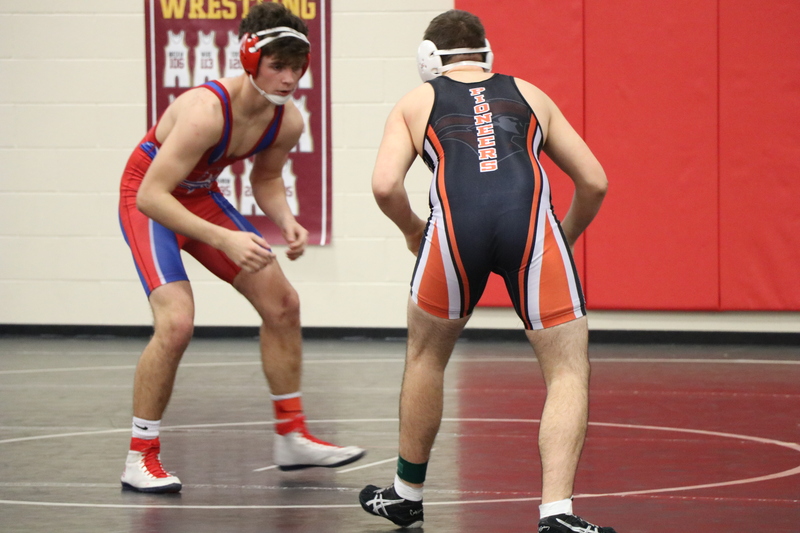 Gavin continues to work on developing into a complete wrestler after spending some time on varsity earlier in the season. He has been working on finishing and defending takedowns in practice and it paid off during this tournament. 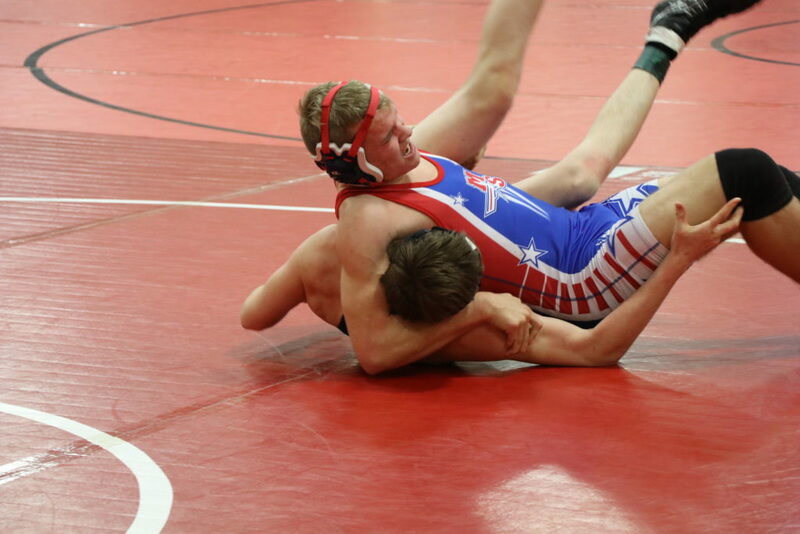 The Patriots had 8 other placers on the day. Garrett Carbuillido finished in 2nd place recording 3 falls and a major before running into a buzzsaw in the finals. Jeremiah Sistek placed 4th at 120 pounds losing to former Patriot Jack Theisen in the 3rd place match. 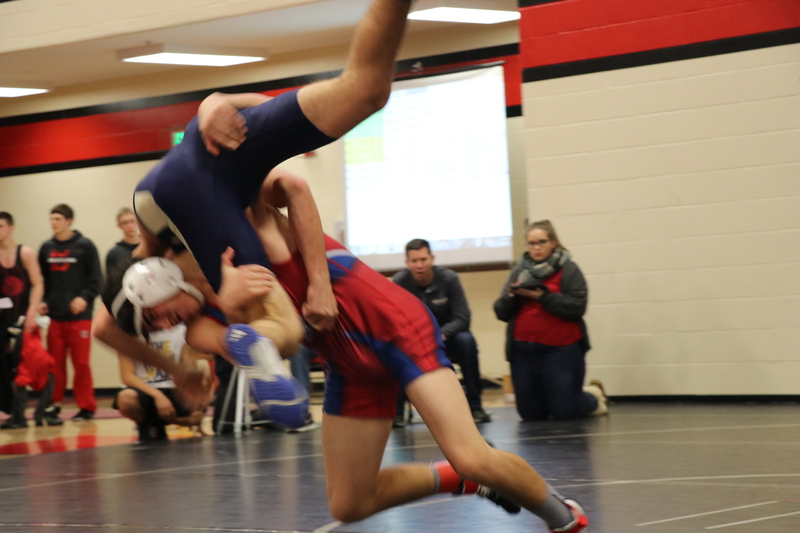 Sistek was winning with 1 minute to go in the 3rd period and walked into a takedown from Theisen eventually giving up a spladle. 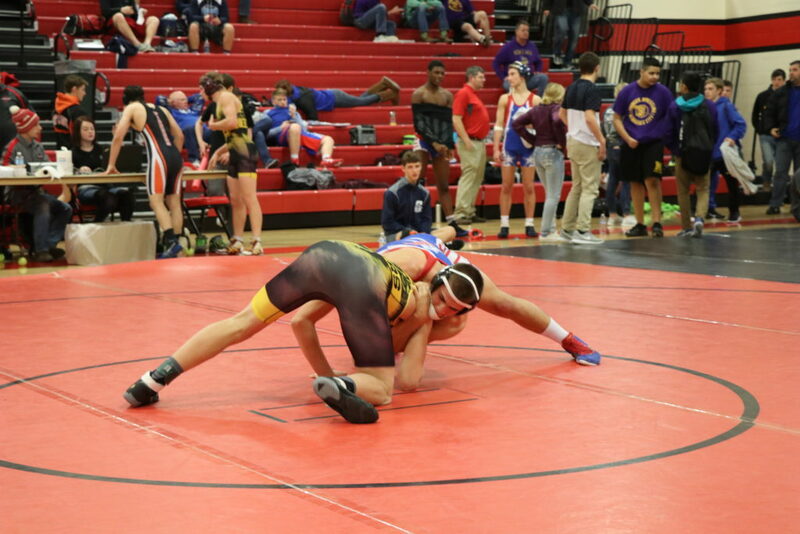 Garrett Mandolfo showed off his nasty double leg in the early rounds recording a fall and major decision before falling short in the finals ending up in 2nd place. 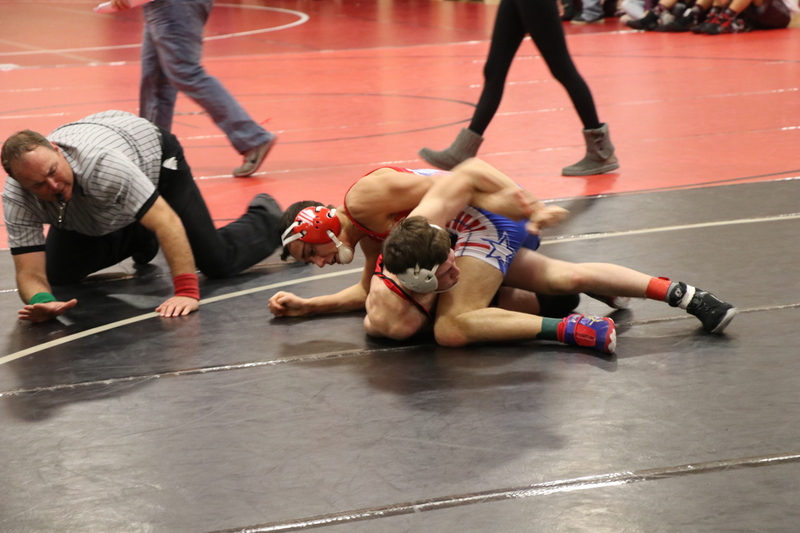 Al Cunningham lost a tough match in the semi-finals ending up in 3rd place. 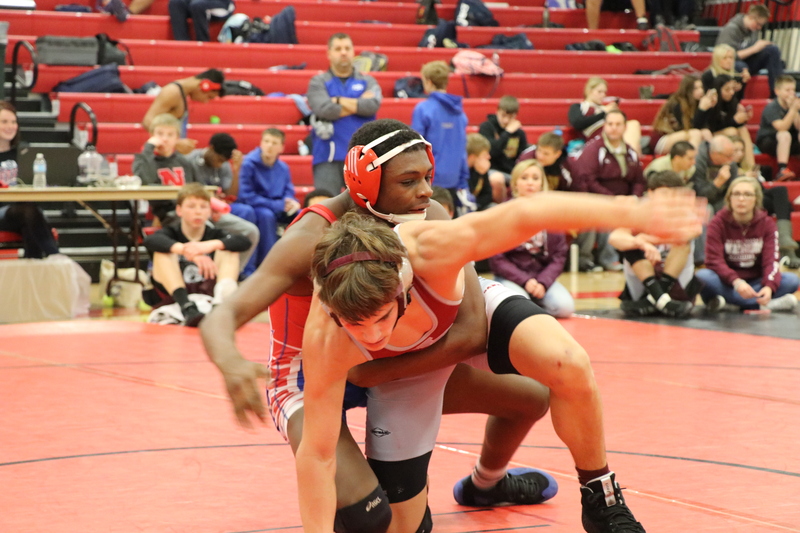 Isaiah Jackson was 2-2 on the day recording 2 falls on his way to 3rd place. Chris Wortmann recorded two gritty wins in the opening rounds before losing in the finals. 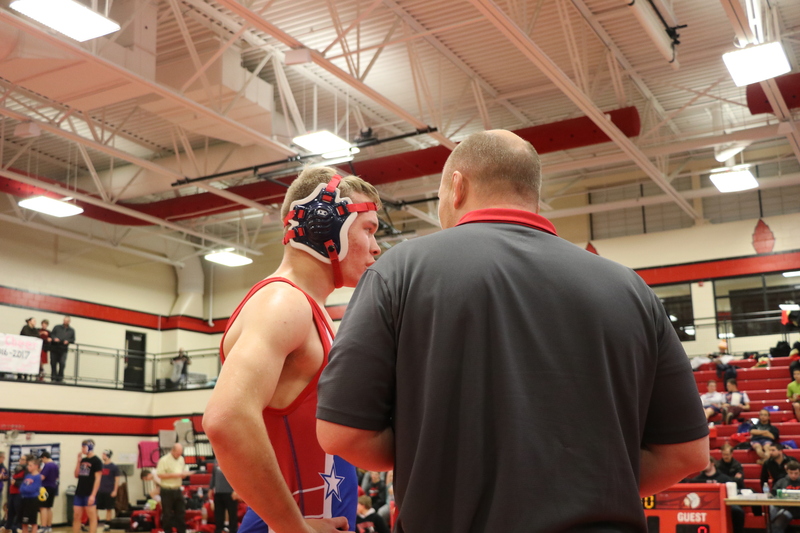 Wortmann continues to improve each day and requests coaching after each match. Krew Tran was 3-2 on the day ending up in 4th place. 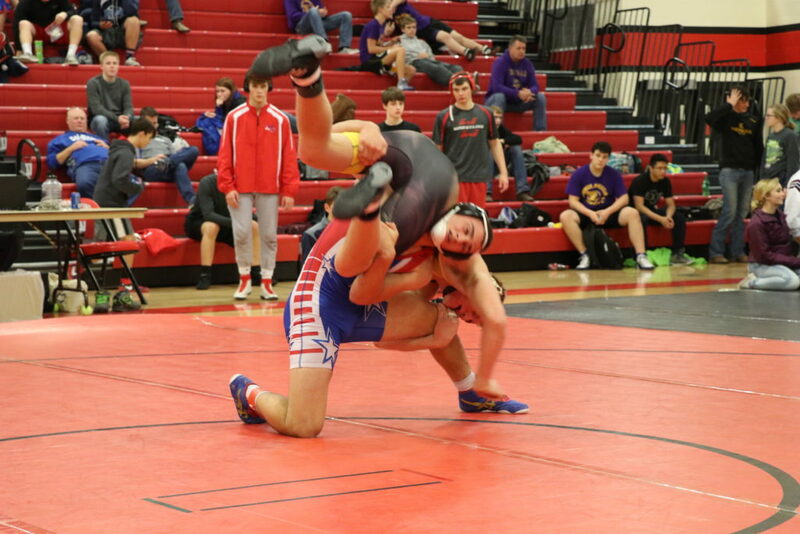 Tran continues to give up some weight at the 195 pound weight class, but his personal sacrifice helps the team each week. 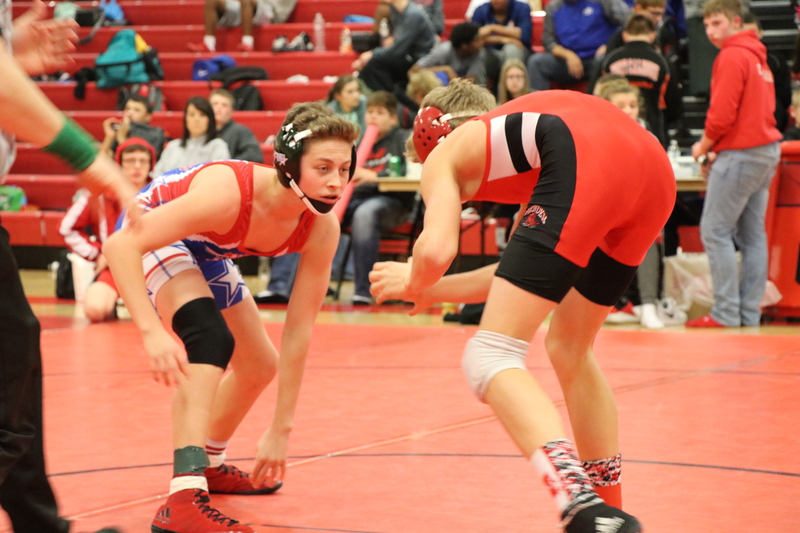 106 – Austin Sloger place is unknown. 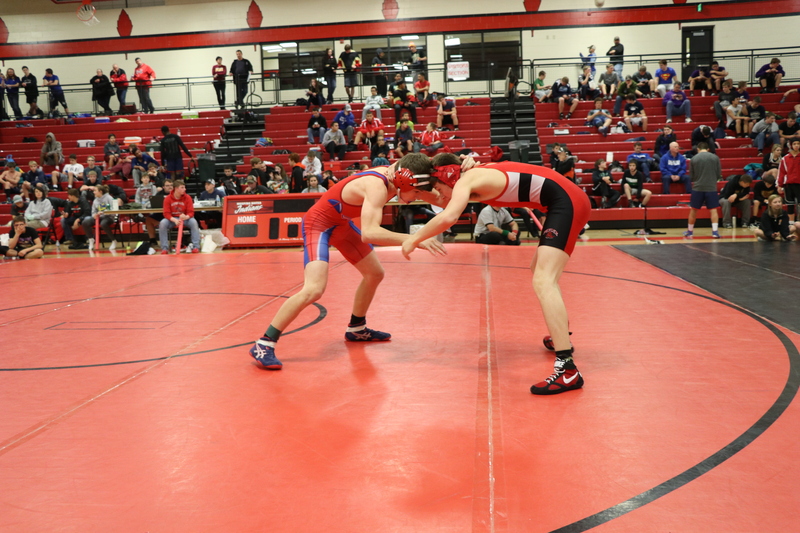 106 – Dominic DeLoa placed 3rd and scored 19.50 team points. 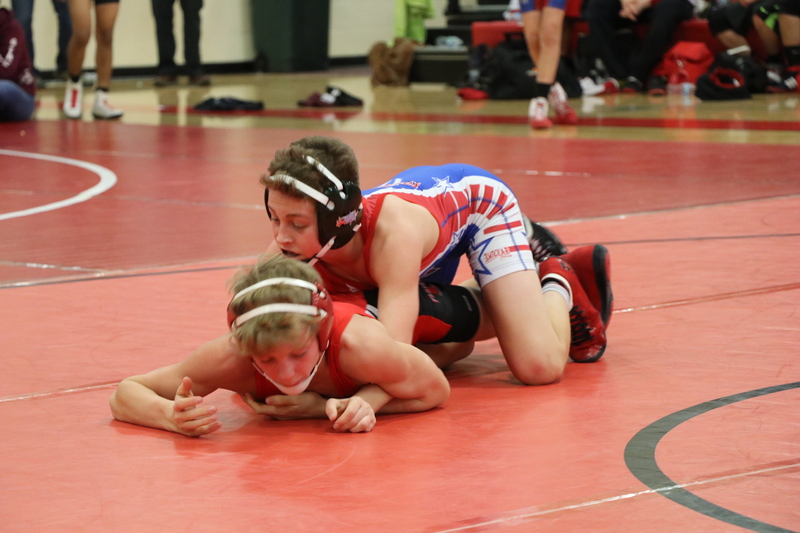 106 – Griffin Rettele place is unknown. 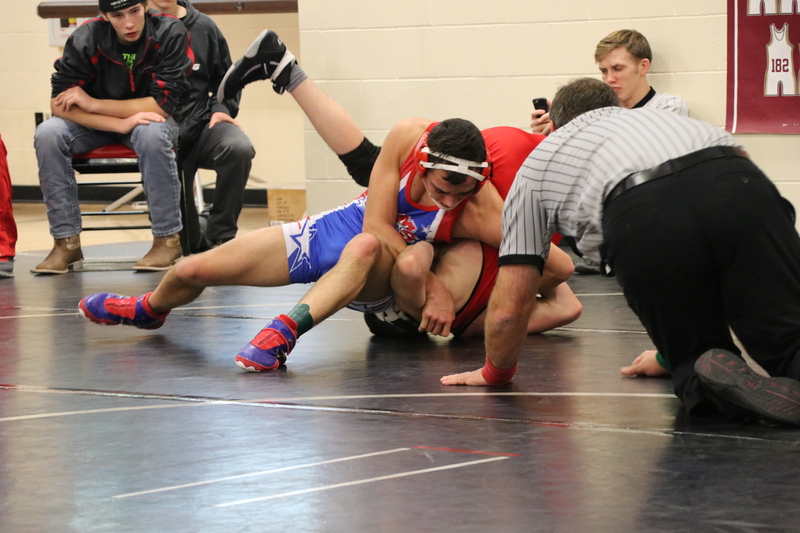 113 – Garrett Carbullido placed 2nd and scored 17.00 team points. 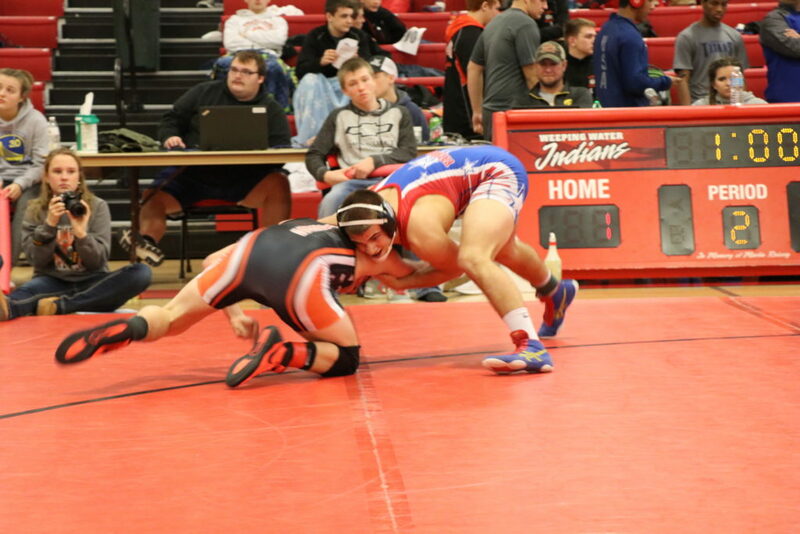 120 – Jeremiah Sistek placed 4th and scored 9.00 team points. 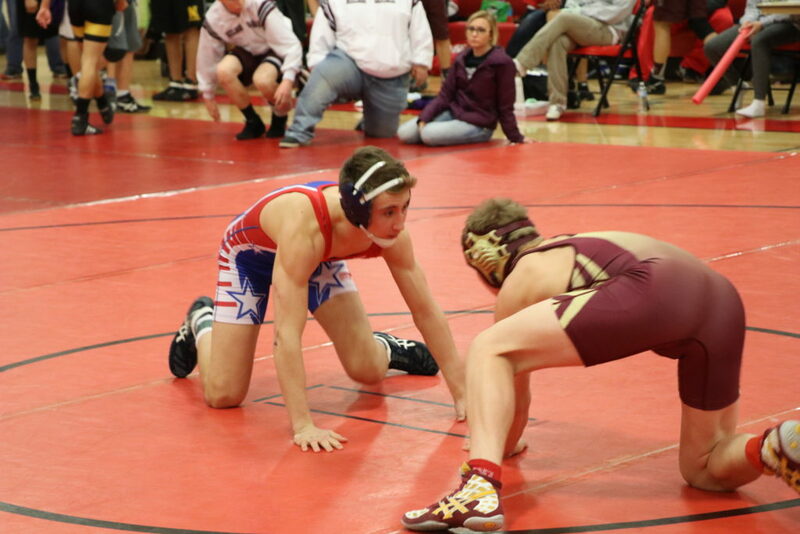 126 – Garrett Mandolfo placed 2nd and scored 19.00 team points. 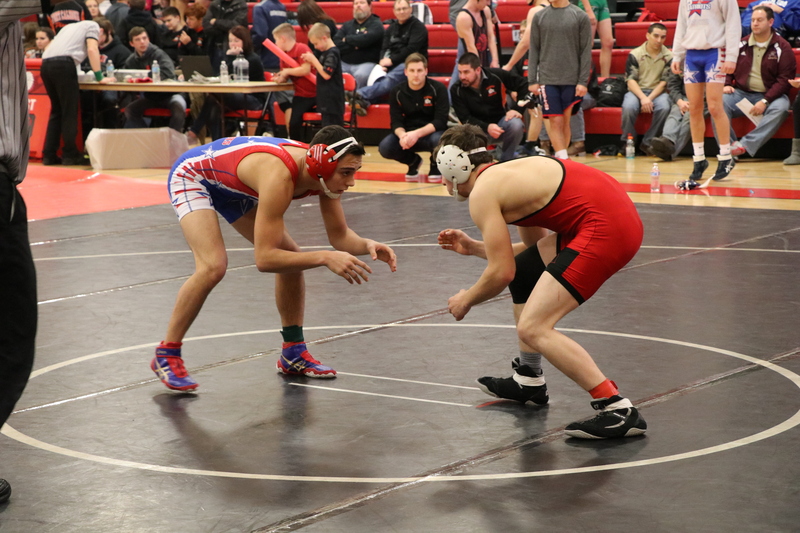 132 – Jace Caniglia placed 1st and scored 25.50 team points. 138 – Garett Svoboda placed 3rd and scored 18.00 team points. 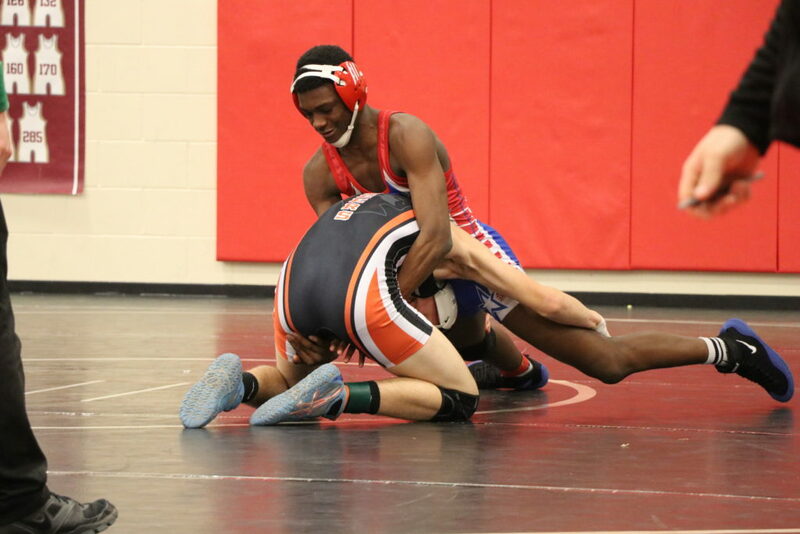 145 – Ricky Hayden placed 1st and scored 23.00 team points. 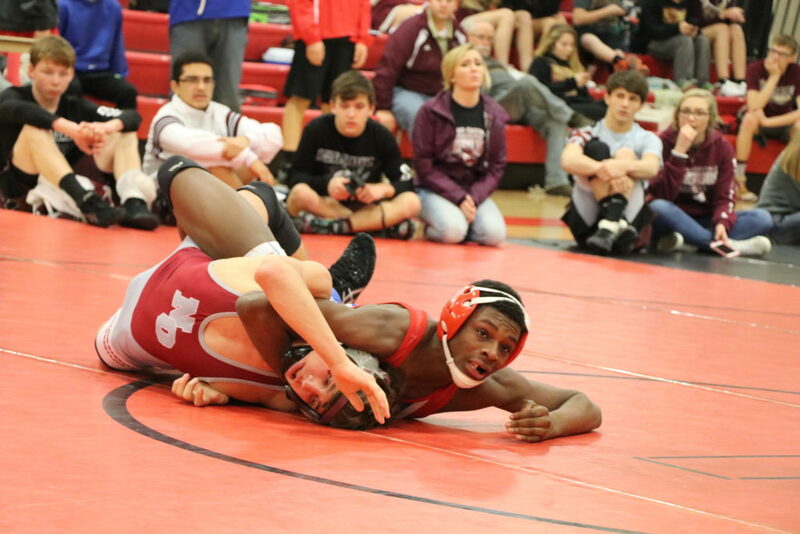 152 – Alfonso Cunningham placed 3rd and scored 16.00 team points. 160 – Isaiah Jackson placed 3rd and scored 11.00 team points. 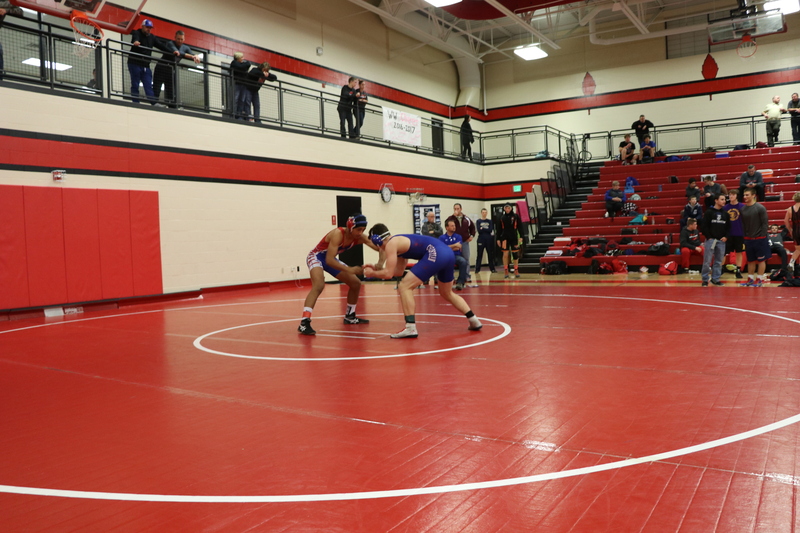 170 – Cade Sortino place is unknown. 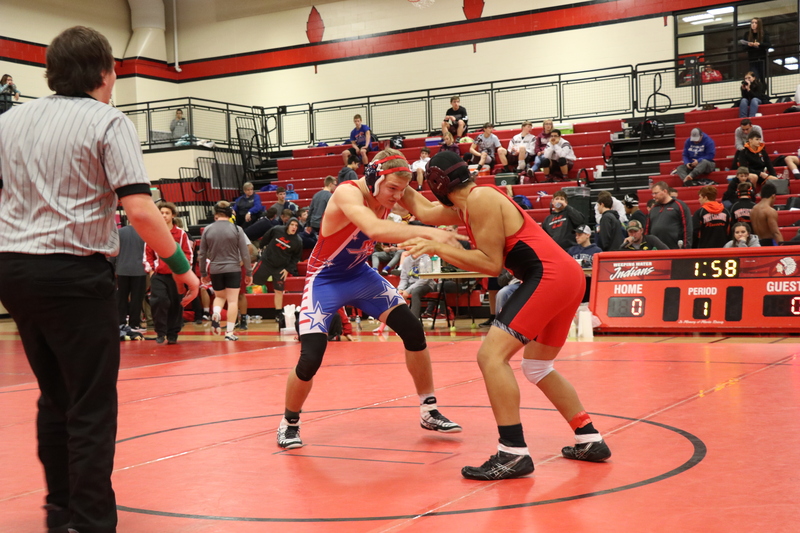 170 – Chris Wortmann placed 2nd and scored 16.00 team points. 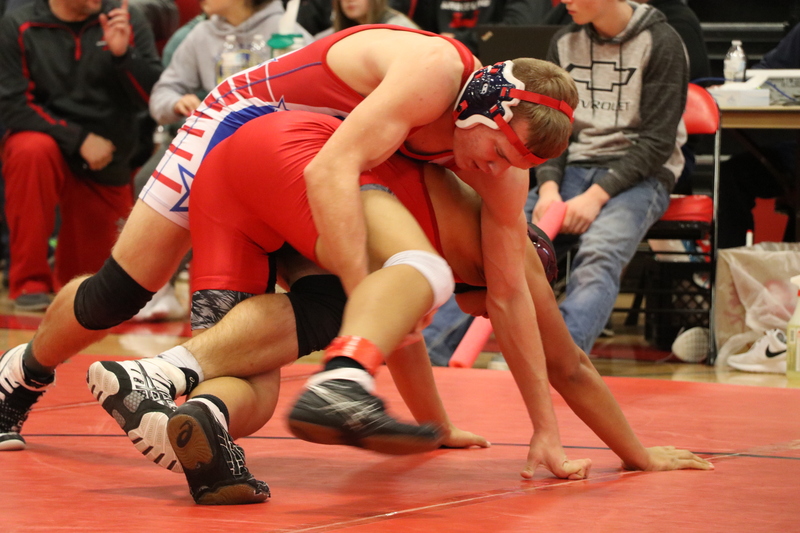 182 – Gavin Peitzmeier placed 1st and scored 25.00 team points. 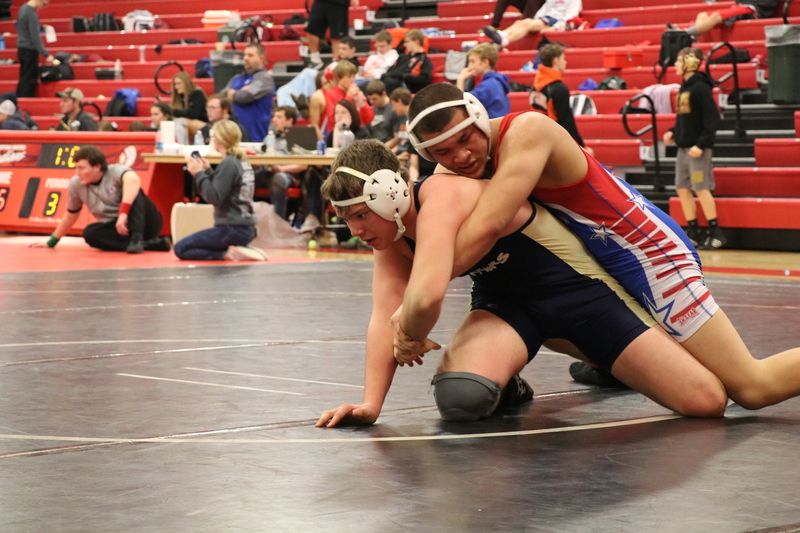 195 – Krew Tran placed 4th and scored 11.00 team points.